Arthritis of the knee results in deformity of the joint resulting in a knock kneed or bow legged appearance of the lower extremities. 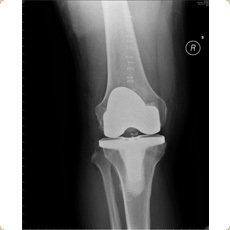 X-rays of the joints will certainly demonstrate wear and tear of the articular surfaces of the joint. 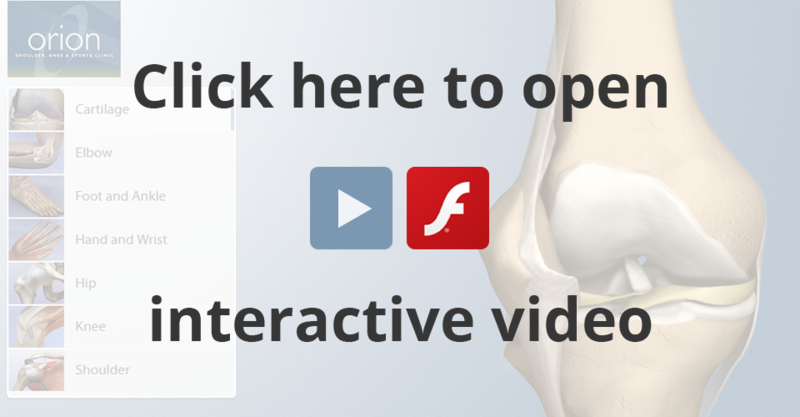 Patients present with pain, stiffness and reduced mobility. 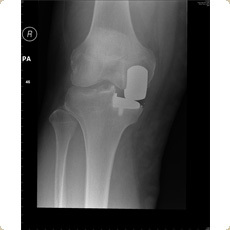 Knee replacement surgery involves replacing the worn out knee with an artificial joint which combines the use of a metal surface over the femur (the thigh bone), a high density plastic material on the tibial surfaces and a high density plastic surface on the articular surface of the knee cap. The procedure requires an in patient stay of approximately 3-4 days and the patient is allowed to fully weight bear immediately following surgery. Patients are not allowed to drive for the first 6 weeks following surgery and are regularly followed up on a yearly basis to ensure that the prosthesis is behaving itself.